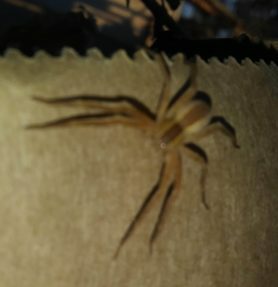 Trying to help a friend figure out what this spider is. 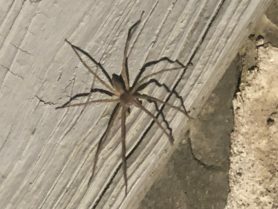 I’m leaning toward Nursery Web Spider? 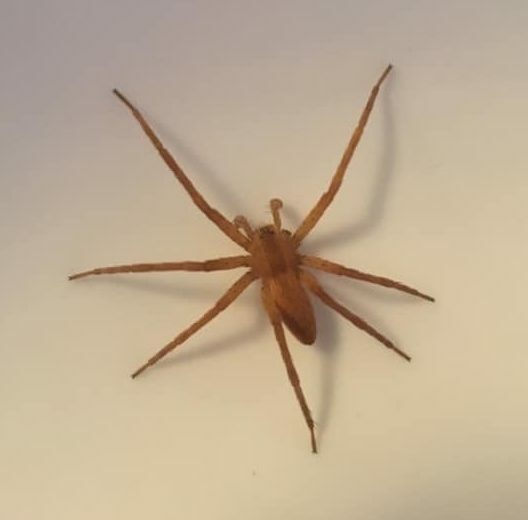 Someone else is saying brown recluse, but I don’t think it’s one of those. Plus those are rare in MA I believe. 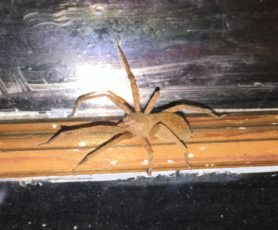 Yes, this looks like a Nursery Web Spider, Pisaurina mira. There’s always someone insisting a spider is a black widow or brown recluse. 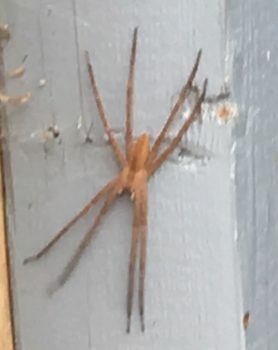 🙁 Brown recluses aren’t in Massachusetts at all in the wild. We do have about two species of true black widows, but I don’t know anyone who even claims to have seen one in New England.